Editors’ Note: It’s a fair assumption that BuzzFeed is a willing asset of the Deep State and probably gets funding there, although, doing the bidding for the corrupt ever warmongering Neocon establishment it surely has no trouble securing plenty of advertising and grants, who knows. Just observe this video with a bubbling idiot for guide showing the posh offices BuzzFeed has in Los Angeles alone. And, as the Cosmo piece points out, the outfit is expanding, and it already has pods in many major cities, in the US and abroad. 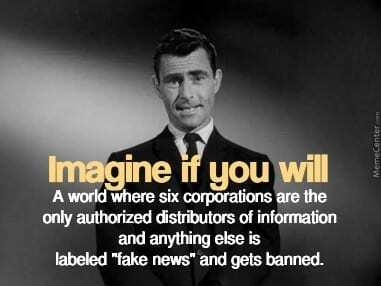 Knowing how poor genuine anti-establishment sites are, it proves that the powers shine their warm approval on this longstanding fake news disseminator. More details about what this entity is all about are offered after the video, via excerpts from a Cosmo piece. “If you have spent any time on the Internet, you have likely interacted with BuzzFeed. content. The rapidly growing social news and entertainment company has amassed a global audience of more than 150 million people in just eight years. It’s known for its viral lists, witty lifestyle quizzes, and open door for user-generated content, much of which has something to do with cats. But you don’t get to be one of the biggest media companies on the planet just with cat videos. 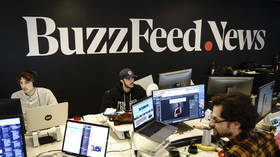 BuzzFeed’s operations include custom advertising, investigative journalism, and a newly announced motion picture studio based in Los Angeles. Earlier this month, BuzzFeed received a $50 million investment from venture capital firm Andreessen Horowitz, which boosted its estimated worth to $850 million. The company has offices in New York; San Francisco; Los Angeles; Chicago; Washington, D.C.; Paris, France; São Paulo, Brazil; and Sydney, Australia, and plans to expand to India, Germany, Mexico, and Japan this year. BuzzFeed is hiring like mad right now. Joel Greengrass, senior vice president of talent, reveals what it takes to join the team. What would people find most surprising about the work culture at BuzzFeed? ALSO ON RT.COMWhat evidence? BuzzFeed fuels ‘Russiagate’ with bombshell report on Trump and CohenMeanwhile, some of the reporters, who worked with the dossier, admitted that the document’s claims are “likely false.” Christopher Steele himself also revealed that one of his goals in compiling the report was to provide Clinton with a legal basis to challenge the 2016 election results.